2019 is the year to eat lentil soup! 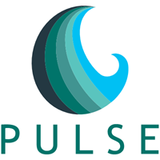 What is a pulse? Besides a measure of your heartbeat, a dried legume, a brainwave, and a TCM diagnostic . . . it is a nutrition haven. Visit Canada's foremost online authority on cooking, eating, and living with pulses: click here. Have you thought of what you want to do this year to meet your health goals? Is there something you've always wanted to know about health and nutrition but were afraid to ask? Come meet the nutritionist and health coach at P U L S E.